'States’ Obligations to Stabilize the Climate for the Life, Survival and Development of Children and Future Generations.' 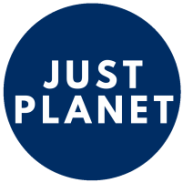 Submission by Just Planet for consideration by the UN Committee on the Rights of the Child during its Day of General Discussion on children’s rights and the environment, 23 September 2016. The Working Group on Indigenous Peoples of the University of the Andes, Venezuela, with the support of Just Planet make a submission to the UN Expert Mechanism on the Rights of Indigenous Peoples on the promotion and protection of the rights of indigenous peoples with respect their cultural heritage, including through their participation in political and public life.